Prior User vs. Federal Registrant: Whose Mark Is It, Anyway? There are many benefits to federally registering a trademark, one of the most important being that it empowers the Patent and Trademark Office (“PTO”) to police the mark by rejecting subsequent applications to register marks that conflict with the registered mark. Registration also affords the mark certain evidentiary presumptions of validity, confers constructive use of the mark as of the application’s filing date, and creates nationwide constructive notice of registration (thereby preventing subsequent “innocent” adoption of the registered mark). Ownership of a registration, however, does not by itself answer the question of who has the right to use the mark. Who is a Prior User? Under common law, trademark rights within a certain territory are based on priority of use of a mark within that territory. Sometimes a federal registrant is not the first user of a mark in a territory, and that an unregistered prior user may have superior rights, at least in that territory. Determining the rights of the parties in such situations requires a careful evaluation of often complex facts and always complex law. Under Section 7(c) of the Trademark Act, the date of filing an application, whether based on actual use or intent to use, establishes a registrant’s date of “constructive use,” establishing nationwide priority except against a person who began use (or applied for and ultimately obtained registration) of the mark prior to that date. Thus, a “prior user” is a party who began use somewhere or applied for the mark prior to the registrant’s application date. Section 22 of the Act provides that the registration itself creates “constructive notice” of the registrant’s claim of ownership of the mark, thereby precluding anyone else (including a prior user) from claiming good faith, innocent use or expanded use of the same mark after the date of registration, regardless of where the registrant actually uses the mark. These two and other sections of the Trademark Act dictate the scope of a prior user’s rights in a mark registered by another party. A registration less than five years old is not eligible for “incontestable” status, but is prima facie evidence of the registrant’s exclusive right to use the mark for the goods or services for which it is registered. Courts differ on the effect of the presumption on the burden of going forward with the evidence and on the burden of proof. A prior user can defeat the presumption, however, for any territory in which it can show that it (1) used the mark prior to the registrant’s date of filing and (2) acquired common law rights as a result of its use of the mark prior to the registrant’s use in that territory. Some decisions recognize that the preempted territory also includes the prior user’s “zone of natural expansion.” Because registration acts as nationwide constructive notice of use of the mark under Section 22, the prior user can establish rights only in those territories in which it was operating prior to the registration date. Notably, the prior user’s territory is not frozen as of the earlier “constructive use” date of the filing of the application under Section 7(c), which by its terms does not establish automatic nationwide priority against a party who began use (or applied for a registration) of the mark prior to the registrant’s application date. If the prior user’s priority is based on the fact that it applied for a registration of the mark prior to the registrant’s application date, the prior user is entitled to nationwide priority (assuming it is otherwise entitled to a registration). In addition, regardless of the territorial scope of the prior user’s rights, an unregistered prior user can oppose a junior user’s application for registration and can petition to cancel a junior user’s registration within five years of the date of registration. If such an opposition or petition is successful, and if the successful party has not filed an application to register its mark, the parties’ respective rights will be based solely on their common law rights, based on the priority in which they established their use of the mark in specific territories. A registration becomes “incontestable” if, after the fifth year of registration, the registrant files an affidavit avowing that there have been no adverse decisions regarding the registrant’s right to use the mark, that no such proceedings are pending, and that the mark has been in continuous use for five consecutive years. Filing the affidavit of incontestability increases the evidentiary value of the registration from a prima facie presumption of the registrant’s exclusive right to use the mark to “conclusive evidence” of such a right. Despite the elevated status of an incontestable registration, under Section 15 of the Trademark Act incontestability itself is expressly subject to any prior user’s common law rights that existed at the time of registration in any particular territory based on use that continues to the present. Thus, even an incontestable registration cannot be used as a sword to smite all other users of the mark – nor as a shield to protect the registrant’s own right to use the mark in all territories. tinue to have rights superior to those of the registrant in that territory. However, under Section 15 and by virtue of the constructive notice of Section 22, the prior user can only establish rights in those territories in which it was actually operating prior to the registration date (possibly including the geographic “zone of natural expansion”), just as with contestable registrations. In other words, even an incontestable registration does not bestow the exclusive right to use the mark where a prior user has continued to use the mark and hence has established rights since prior to registration. This situation differs from several discussed above because B’s rights are frozen geographically upon the date A files his application. If B had been the first to use the mark anywhere, the territory in which it could establish common law priority would be frozen as of A’s registration date. Section 33(b) is commonly considered to list each possible “defense” against a plaintiff wielding a registration, but there seems to be no compelling reason why a prior user could not also challenge as a plaintiff the right of an owner of an incontestable registration on the same grounds. Indeed, Section 33(b) itself speaks of defenses “and defects.” As the Cuban Cigar case cited above indicates, plaintiffs may challenge use of a mark by the owner of an incontestable registration, and there appears to be no reason why a plaintiff who began use after the registrant but before the registrant filed an application should not be able to take the initiative to show that a “defect” exists with the defendant’s registration, at least with respect to the plaintiff as a prior user. Although the Section 33(b)(5) defense appears to lie only against incontestable registrations, Section 33(a) specifically cross-references the defenses and defects of Section 33(b). Thus, Section 33(b)(5) is available against any registrant, not merely against owners of incontestable registrations. A junior user with prior rights in a particular territory has no standing to oppose or cancel a prior user’s registration. Other than through a court decree, the only way such a junior user can obtain a formal recognition of its rights is by registering its mark by means of a concurrent use proceeding, initiated by the filing of an application for registration on the Principal Register requesting limited territorial rights. Concurrent registrations will state the conditions and limitations as to the mode or place of use of the mark or as to the goods with which the mark is used. A concurrent registration will not be issued if confusion, mistake, or deception is likely to result. The applicant for a concurrent registration must state the geographic and temporal extent of concurrent use of the mark by both itself and others. If it appears the applicant’s mark is registrable, and the mark is not successfully opposed after publication, the PTO will send notices of the application to all parties named in the application, who have forty days to respond. 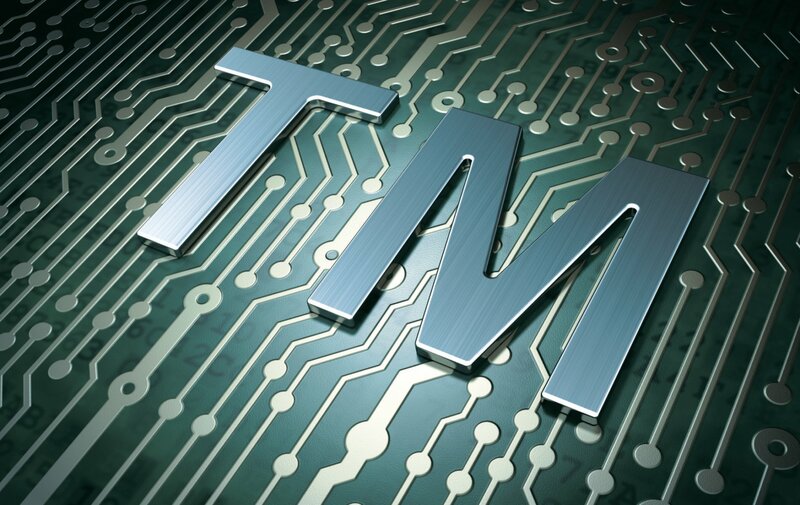 While owning a trademark registration provides many significant benefits, registration by itself does not conclusively establish the owner’s exclusive right to use the mark. Prior users have significant protection under the Trademark Act, and those rights should not be overlooked in any trademark dispute. Further, “incontestability”, an unfortunate (even Orwellian) statutory misnomer, does not automatically prevent a prior user from challenging use of the mark. Although a registration more than five years old cannot be cancelled based on prior use, regardless of the filing of the formal affidavit of incontestability, use of the mark itself can still be enjoined. 1 In Cuban Cigar Brands N.V. v. Upmann International, Inc., 199 USPQ 193 (S.D.N.Y. 1978), aff’d. w/o opinion, 607 F.2d 995 (2d Cir. 1979), a nationwide prior user was granted an injunction blocking the owner of an incontestable registration from using the mark anywhere in the United States. 3See, e.g., Park ‘N Fly v. Dollar Park and Fly, Inc., 469 U.S. 189, 105 S.Ct. 658 (1985). 4 If A’s registration was applied for prior to November 16, 1989, B’s territory is frozen as of the date of registration, and if A’s registration was granted prior to the Trademark Act of 1946, B’s territory is frozen as of the date of post-1946 publication of the mark. 5 That happened in Noah’s, Inc., v. Nark, Inc., 222 USPQ 697 (E.D. Mo. 1983), aff’d, 728 F.2d 410 (8th Cir. 1984), in which a junior user whose use began prior to the prior user’s application date sought to expand its business nationwide while the prior user appeared content to limit its operations within the state of Iowa.